The collectors facilitate the taking up of the Parish collections. They do this by passing the collection basket between the pews for which they are responsible. There are normally two collections during weekend Mass, carried out with the assistance of between 4 and 8 persons. Traditionally one is for the expenses of the parish and the other for the needs of the clergy. In the Archdiocese of Brisbane the proceeds are combined and a percentage forwarded for Archdiocesean needs. 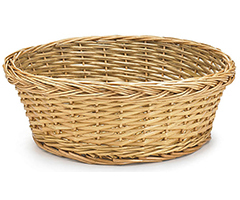 When completed, all collectors put their collection into a single basket which is then taken up to the Altar at the Offertory. On the third Sunday of each month there is a leaving collection. The proceeds of this collection fund the work of the St Vincent de Paul Society Conference in our Parish.